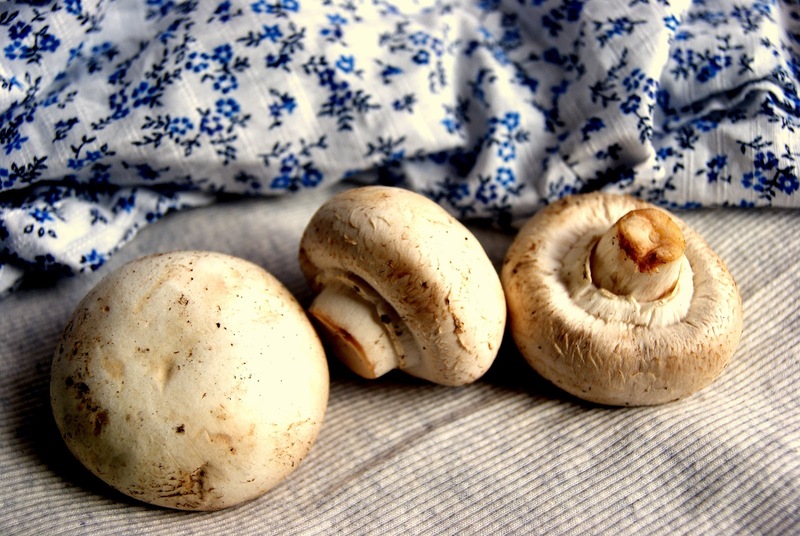 Mushrooms are a favorite at our place and I try different recipes with mushrooms. I usually make soups, pulaos, fried rice or curries with mushrooms. This was the first time I tried out a biryani recipe and this recipe is sure a keeper. Thanks Ramya for the recipe! I adapted the recipe to our taste and this is quite delicious. Do try this out. The mushroom can also be replaced with other veggies. Wash and soak the basmati rice for at least 15 to 20 minutes. Add all the ingredients listed under masala into a fine paste by adding a little water. Finely chop the mushrooms, onions and tomato. In a pressure cooker, heat the oil and add the bay leaf followed by the onions. Saute till the onions turn translucent. Add the ground paste and saute for about 2 minutes, until the raw smell goes away and oil starts to separate from the mixture. Once the ground paste gets cooked, add the tomatoes and fry for about 2 minutes until they get well cooked. Then add the mushrooms and saute for a minute. Finally add the rice and required quantity of salt. Also add the yogurt and lemon juice. Finally add enough water (water:rice = 1.5:1). Mix everything together. Cover the pressure cooker and cook until you get two whistles. Serve hot with raita or a gravy/curry of your choice! Winter Carnival started by Smitha. Looks great! Never tried biryani with mushrooms..must give it a try! Beautiful clicks dear...Mushroom biriyani looks fabulous.. I posted mushroom pulav too, recently. I wish i had brought out such a nice colour; mine was more brown than this! Mushroom biriyani looks so colourful and superb. pics are so neat and good divya! keep rocking dear! 2nd pic is classy! biryani looks yum! Super tempting and inviting briyani..lovely platter..
Looks rich and delicious- the spice paste is very flavorful! Absolutly scrumptious came out very luv the Flavour. What a fantastic twist on regular biryani. Thank you for the lovely recipe! This looks so unbelievably good! Thanks for linking up this recipe to my blog hop. thanks for linking. But please go through event rules. You are supposed to mention our event with mine & SMita's link too! Please make the changes. Oh my! This is a must try dish. I would love for you to submit one of your favorite vegetarian Indian recipes to my November event.